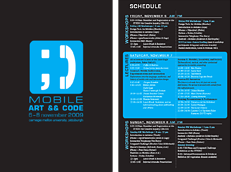 Mobile Art && Code » Scrapyard Challenge! 6 hours, $125 ($75 plus $50 Materials Fee). Sunday 8-Nov, 9am-5pm [SAM6] (with 2-hour lunch break). Workshop location: STUDIO for Creative Inquiry, CFA-111. The Scrapyard Challenge Workshops are intensive workshops in which participants build simple electronic projects (both digital and analog) out of found or discarded “junk” (old electronics, clothing, furniture, outdated computer equipment, appliances, turntables, monitors, gadgets, etcetera). Scrapyard Challenges have been held 36 times in 14 countries, on 5 continents, with a variety of different themes, including the MIDI Scrapyard Challenge where participants build simple musical controllers from discarded objects and e-waste, DIY Wearable Challenge where they create wearable technology projects from used clothing, and the DIY Urban Challenge where they work on public space interventions and other projects. The MIDI Scrapyard version includes a mini workshop where participants build simple drawing robots or “DrawBots” with small, inexpensive motors, batteries, and drawing markers that can also be connected to Serial or MIDI interface. At the end of the day or evening, the workshop participants have a small performance, concert, or fashion show (depending on the workshop theme) where they demonstrate and present their creations together as a group. This workshop is for anybody! No electronics skills are necessary to participate, and no computers are needed! All skill levels are supported, and an open mind and a curiosity for taking things apart are all that you need.